Apparently, an image showcasing the possible Samsung Galaxy Note 7 has been leaked. According to this image, Samsung seems to be focused on ditching the Galaxy Note 6 in favor of a new Note 7. In addition, the image further hints that the next Note will feature a curved dual-edge display, similar to what the Galaxy S7 Edge already rocks. The year started quite well with the launch of the highly successful Samsung Galaxy S7 and S7 Edge. However, smartphone enthusiasts are yet to see the best from Apple, with the only device that came as a surprise being the smaller iPhone SE. Apple iPhone 7 and iPhone 7 Plus will be here in September, which will be more than four weeks following the availability of the Galaxy Note 7 Edge. 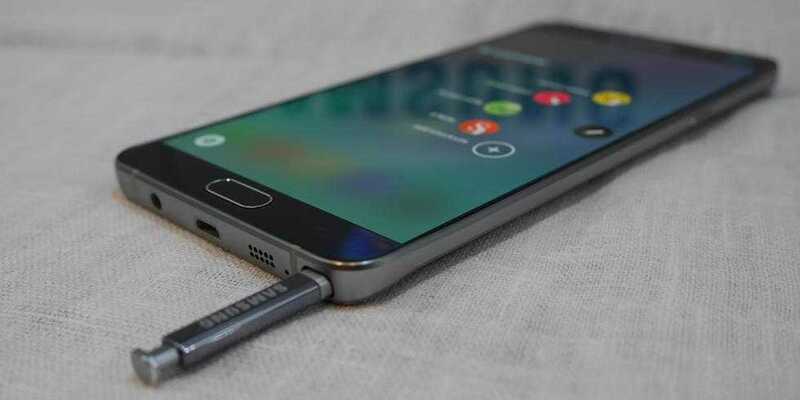 In the image, it has also been confirmed that the upcoming Samsung Galaxy Note 7 Edge will be launched on August 2. The image further details out that owners of the next Galaxy Note will be able to “write on the edge of something great,” only but confirming that the phone will have a curved dual-edge display. However, there is no mention of whether this is the only variant of the Note 7 we will see this year. In 2014, Samsung did the unusual by coming in with a Galaxy Note Edge alongside the then expected Galaxy Note 4. It wouldn’t be a surprise if this was the case again this year. If the Korean company sticks to its traditions, we expect the phone to be available for purchase in mid-August. This will mean the Galaxy Note 7 gets a head start of more than a month as Apple’s iPhone 7 will probably go on sale towards the end of September. There are some reports that Apple might go for an iPhone 7 Pro instead of iPhone 7 Plus. However, others believe that the Pro variant will be a third offering from the company as it looks to make a wide variety of choices available for its growing user base. The Pro moniker stems from the fact that the phone might come with the iPad Pro-like Smart Connector port that allows seamless connection of accessories to the device. Next Next post: ZTE Axon 7 vs. Galaxy Note 5 – Which Phablet is better?